Next-gen Skoda Rapid: What it'll look like! Next-gen Skoda Rapid: What it’ll look like! Skoda is working on the next-generation Rapid C-Segment sedan for the Indian market. The next-gen Skoda Rapid will use the MQB A0 platform, which is specifically meant for cost conscious emerging markets of the world such as India and Brazil. 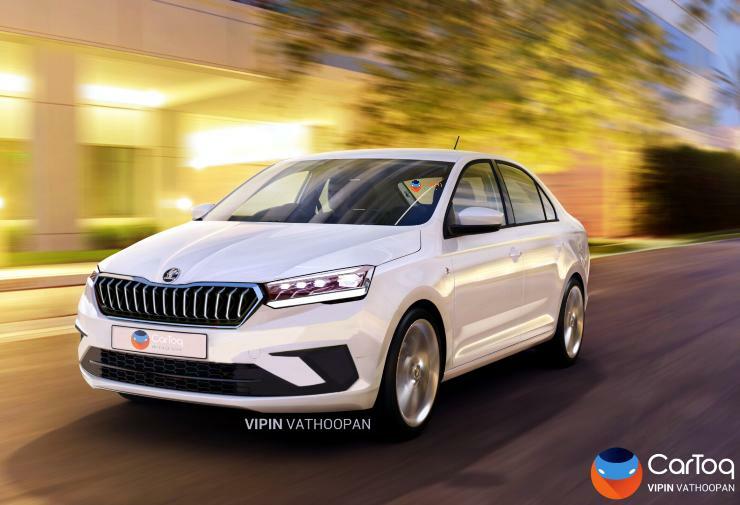 Here is a render by CarToq’s artist Vipin Vathoopan showing what the next-generation Skoda Rapid could look like. The render is based on the Vision RS concept that Skoda recently revealed. 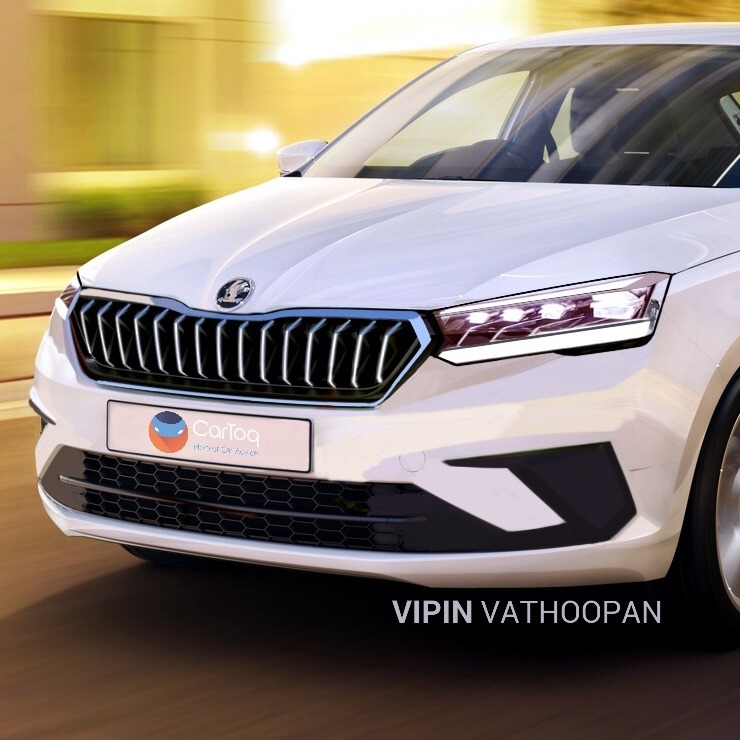 As the render indicates, the 2020 Skoda Rapid is expected to be a much more sharper looking car. The front end will get a prominent front grille with vertical slats. The headlamps will be LED units and will be much narrower than the ones that the current Rapid features. The front bumper will also get an edgy design while the rest of the car, including the side profile, will be understated, in typical German fashion. The alloy wheels are likely to be flashy though. Volkswagen and Skoda are currently in big trouble in Europe following the Dieselgate emissions scandal. Both brands are planning to completely phase out diesel engines in the years to come. The next-gen Skoda Rapid is expected to be a petrol-only car, with a 1 liter-3 cylinder turbocharged petrol engine powering it. Expect very healthy power and torque outputs from this motor, which is expected to put out about 120 Bhp-200 Nm. Manual and twin clutch automatic gearbox options are expected to accompany this engine. On the inside, expect a classy dashboard design with minimal clutter. A touchscreen infotainment unit is expected to dominate the center console, with advanced connectivity and navigation options. From voice commands to cruise control, the new Skoda Rapid is expected to raise the bar a few notches. The car is also expected to be loaded with safety features. We hope that Skoda does not compromise on the build quality, which has been excellent in the current model. The new Skoda Rapid will be followed by the next-gen Volkswagen Vento. Both sedans will share the platform, mechanicals and most features. The new Rapid is likely to undercut the new Vento by a small margin. On-road testing of the new cars is expected to begin shortly considering the fact that 2020 is not too far away. The new Skoda Rapid and Volkswagen Vento will be built at Volkswagen’s Chakan factory.